Step 1. Before you involve in mining Bitcoins, make sure you have a spare computer with a lot of operational memory. Ideally you should have a separate computer working on mining Bitcoins in 24/7 mode. The place where you mine Bitcoins should be safe from power cuts and accidents alike, since it can easily destroy your hard earned money. Step 2. As with any currency, you’ll need to have a place where to keep it. Before you start mining your Bitcoins, you’ll have to create a Bitcoin wallet. Go to the link you see on screen (https://bitcoin.org/en/choose-your-wa... ) and download the Bitcoin client that would suit your liking. Follow the instructions on the website to install the wallet on your computer. Make sure you make the copy of your wallet data file, otherwise you might lose your Bitcoins. - pick one of them to join the pool. Step 4. Whether alone or in a mining group, what you will need to do is to install the mining program on your computer. Make sure you have a capable system, with lots of processing power. A classic hint here is to use one, or more high-end video cards that can perform the real-time advanced computations needed to create the numbers requested by the Bitcoin network. Step 5. Once installed and running, let it run for as much as it's needed to generate your Bitcoins. If mining is successful on your hardware, you will see an updated report of the operation on your wallet. Step 6. Just how much Bitcoins you will actually make? 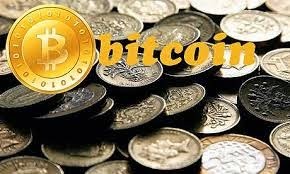 To find it out, you can use one of the Bitcoin mining calculators from the link you see on screen: (http://www.bitcoinx.com/profit).If you are inside the strong mining pool and your computer has enough capacity, chances are you can make good profit. Result: Enjoy your new money-mining career!